While Amsterdam’s popularity is well-deserved, travelers who don’t venture outside the city are missing out on some of Europe’s most charming countryside. And in a country as tiny as the Netherlands, day-tripping is easy to do. Within a half-hour of leaving Amsterdam’s main train station, you can be deep in the Dutch countryside filled with tulips, red-brick houses, quaint waterways, and black-and-white cows. 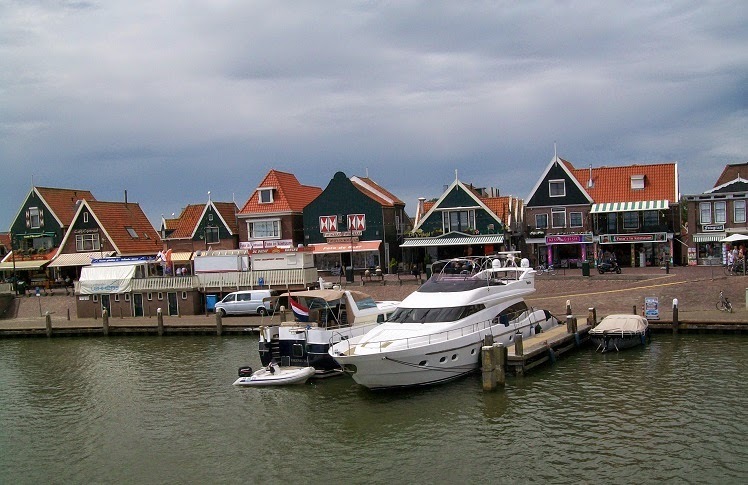 One of my favorite day-trip destinations is the aptly named Waterland, home to three particularly picturesque villages: Edam, Marken, and Volendam. In this bucolic region, a short trip northeast of Amsterdam, I found canals with reflections that would inspire Monet to set up his easel. known for its famous cheese covered in red or yellow wax, is full of history, charm, great hotels, and ambience. This adorable village is sweet but not saccharine, and is just 30 minutes by bus from Amsterdam. If you go, try to visit during Edam’s Wednesday morning market; it’s held year-round, but is best in July and August, when farmers bring their cheese by boat and horse to the center of town. You can watch as the cheese is weighed and traded by Edamers in traditional garb. Although Edam is known today for cheese, it was once an industrious shipyard and port. That’s why, in the 17th century, the town’s specialty became one of the most popular cheeses in the world. Sailors took wheels of Edam on their voyages, the cheese doesn’t spoil easily and could be traded for spices and other riches of the East. The ships are long gone; today, Edam’s main trade is tourism. The best thing to do is to just wander its storybook lanes and canals. Consider taking a short walking tour; ask for a free tour booklet available at the tourist-info office on the main square. While the town itself is the real attraction, the Edam Museum is certainly worth a stop: a 400-year-old historical residence that provides a fun peek at what old canal houses once looked like. This house is particularly interesting for its floating cellar, designed to accommodate changes in water level without destabilizing the structure. 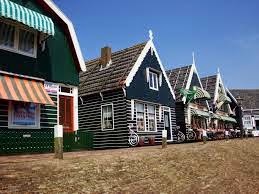 After a cheesy morning in Edam, travel to one of the Netherlands’ most traditional fishing communities: Marken. This time-passed hamlet in a bottle, once virtually abandoned, has been kept alive as a tourist attraction. It’s quiet, perfectly quaint, and well-preserved, but not annoyingly crowded. This island town once had a harbor for whaling and herring fishing, but when the Zuiderzee began to silt up in the late 17th century, it became more and more difficult to eke out a living here. Centuries later, when the Zuiderzee was diked off, Marken became a virtual ghost town. But in 1957, engineers built a long causeway from the mainland to the island hamlet, which allowed easy access for visitors to marvel at its cuteness. Walking around Marken, I was impressed with the town’s unique architecture, adapted to survive the challenging local conditions. Because the tides could be so temperamental, houses here tend to cluster on little hills called werven, or are built on pilings to keep them high and dry. Traditional Marken homes, while dull and black-tarred outside, are painted a cheerful yellow and blue inside. 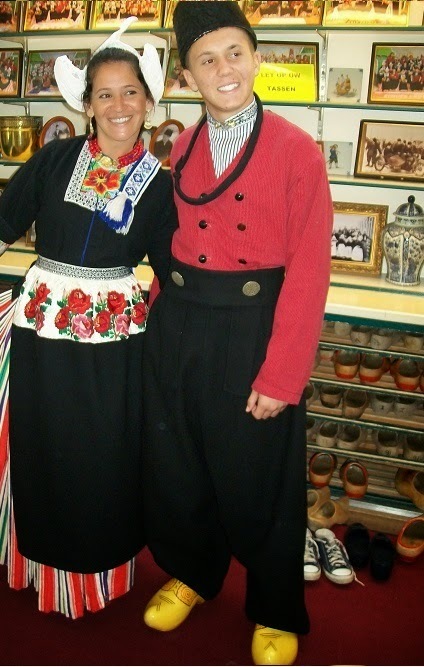 In the extremely charming neighborhood of Kerkbuurt, I stumbled on the modest Marker Museum, which celebrates the 16th-century costumes (still worn for special events) and traditional lifestyles of the people of Marken. For sustenance, nibble on some kibbeling (local fish-and-chips) at an idyllic eatery on the harbor. Some visitors take a 40-minute walk out to the town’s lighthouse, picturesquely situated at the far end of the island, at the tip of a sandy spit. The third town of this trio, Volendam, is grotesquely touristy...mix Killarney and Coney Island and then drizzle with herring juice. 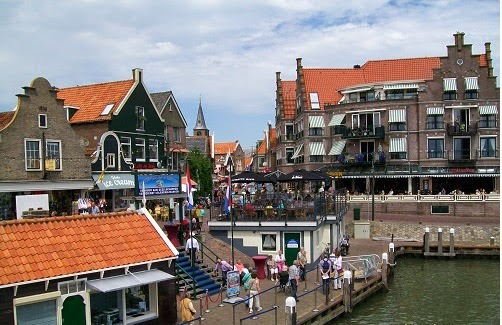 The town’s promenade is lined with souvenir shops, indoor/outdoor eateries, and Dutch clichés. For a megadose of kitsch, visit the Volendam Museum’s Cigarband House, where a local artist has glued 11 million cigarbands to big boards to create giant images, from Dutch windmills to a sour-looking Statue of Liberty. Amsterdam can be thrilling, but any native will tell you: To really experience everyday life in the Netherlands, get out of town. In postcard-perfect Dutch villages like Edam, you can mellow out like a hunk of aging cheese.